In the context of Deliverable D7.1 – Methodology for Measuring Social Integration, we have provided a methodology for the assessment of MAMEM’s impact on social participation and integration of persons with disabilities. We have identified the challenges and repercussions of social inclusion and exclusion of persons with disabilities and we have defined a portfolio of digital and social inclusion indicators which are relevant and pertinent to them. Further, we have presented statistically validated, robust and mutually consistent metrics for each of the digital and social inclusion indicators. Finally, we have introduced a research methodology for monitoring social integration, which unfolds in two stages. 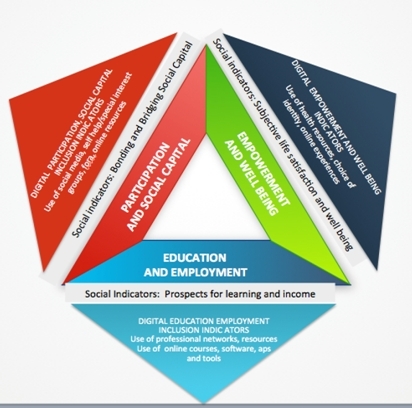 In the first stage benchmark data on digital activity and social integration are collected, while in the second stage shifts and changes in the indicators following MAMEM training and usage are monitored and studied.